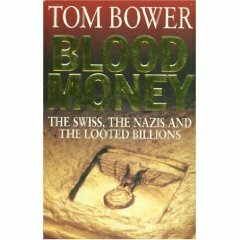 There’s a fascinating banking book called Blood Money about how Swiss banks collaborated to with German army to rob Jewish citizens during World War II – and after the war they made it very difficult for survivors to claim money or assets in their vaults, denying it was there it was in their custody or by asking survivors to provide documentary evidence that their (deceased) relatives were even customers of those banks etc. CRS are registrars they handled registry matters for several Nairobi Stock Exchange companies like blue chip Bamburi, BAT, East African Breweries (EABL), Kenya Airways (KQ) Nation Media Group (NMG), Barclays (BBK) and others like Centum, Express, EA Cables, Crown, Sameer Africa, Olympia, Rea Vipingo, Kakuzi etc. CRS has a tortured history. It was formerly a unit of Barclays bank, known as Barclays Registrars (BARS), but BARS got embroiled in what was massive insider fraud case ( chronicled here) a few years before stockbrokers become the no. 1 villain. Barclays then sold the unit to former employees and new shareholders (called CAPSEC). They remained in Barclays Building before moving to their current offices at Bruce House Nairobi, which still has a Barclays like feel. • They ask for documentation that is none of their business – and which is not required by the Capital Markets authority (CMA), Nairobi stock exchange (NSE) or central depository & Settlement Corporation (CDSC). • They are lazy – and ask for every document to be notarized (i.e. rubber stamped) by a lawyer on their panel. In other words, they assume you’re guilty first and need to be proven innocent. Truth is any bank or government office will do business with you if you show a national ID and give them a photocopy – not CRS, they send you to the lawyers. • They are inconsistent, and any attempt to deal with them will usually require several visits back and forth in search of the extra documentation they can arbitrarily request . • They are so risk averse in modern times. E.g. Safaricom with their registrars were able to register over 180,000 Safaricom shareholders to receive their dividends by mobile phone or m-pesa dividends – they did the registration at supermarkets and bus stations. I’m sure KQ would like to be able to do the same for their 72,000 shareholders, but if they used to CRS, shareholders would probably be asked for a blood test or fingerprints first! So what sill it take for CRS to shape up? – More complaints to the over-burdened CMA or NSE held-desks? – A shareholders petition to EABL, KQ, NMG, or BBK and others about the need for a more responsive and customer friendly registrar? This entry was posted in Barclays, CMA Kenya, nairobi star, NSE insiders on February 12, 2010 by bankelele. 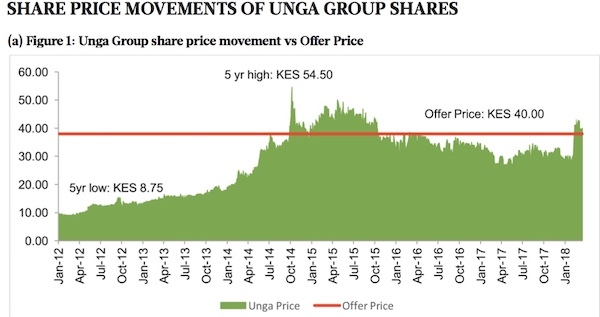 The internet (be it forums or blogs) is being blamed for rumours that drove up the price of Sameer Africa shares to 40 shillings before it again dropped to half it’s take off price. But Sameer never confirmed, denied or commented on the rumors until now. But would you buy shares because a stranger wrote something to a blog, or chat room? And it seems far fetched that the readers of Kenyan blogs and chat rooms have enough weight & financial muscle to drive up a share price so drastically. I’m inclined to place blame with others, perhaps brokers, who simply used the ‘internet’ as an extra forum to play around with the share price of Sameer Africa (and who probably cashed out at 40 shillings). This entry was posted in NSE insiders, Sameer Africa on April 17, 2007 by bankelele.